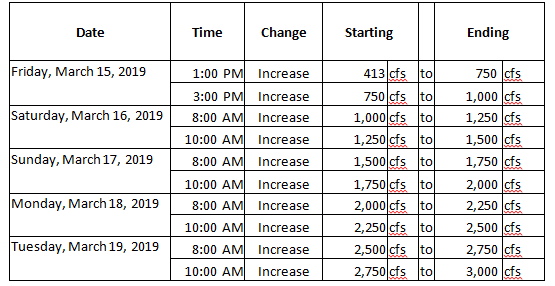 Starting Friday, March 15, 2019, at 1 p.m., the Bureau of Reclamation will begin releasing Flood Flows from Friant Dam into the San Joaquin River in anticipation of reservoir encroachment. The first increase will raise flows to 750 cubic-feet-per-second and flows will continue ramping up until reaching 3,000 cubic-feet-per-second on Tuesday, March 19. A schedule for Flood Flow releases is posted below. Additional operational adjustments may be made as necessary and may occur without notice. These flow releases are related to current weather conditions and are considered Flood Flows, not Restoration Flows, under the SJRRP Program. Individuals on or near the river are advised to use caution as flows may fluctuate quickly and without notice. Midnight reservoir elevation and flows from Friant Dam may be found at Reclamation’s Central Valley Operations Office website at https://www.usbr.gov/mp/cvo/vungvari/sccao_mildop.pdf. Current release information can be found at the Department of Water Resources’ California Data Exchange Center website at http://cdec.water.ca.gov/river/sanj1Stages.html. 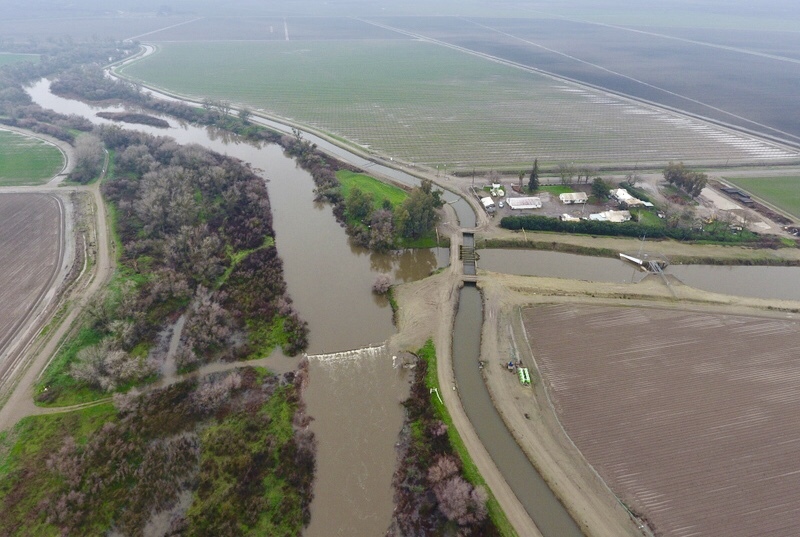 For more information about the San Joaquin River Restoration Program, please visit www.restoresjr.net or contact Josh Newcom, Public Affairs Specialist at (916) 978-5508 or snewcom@usbr,gov.